Broken auto glass? Let the skilled technicians at the Auto Glass Warehouse replace it for you! We all lead busy lives, sometimes leaving little to no time for things such as vehicle repairs. But leaving your vehicle undrivable just will not due! 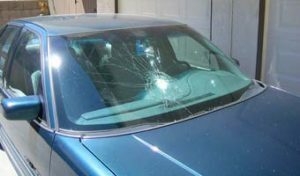 The Auto Glass Warehouse takes the guess work out of replacing broken windshields by offering complimentary mobile auto glass replacement Siesta Key. No need to take time out of your busy day with us. We will send a highly qualified technician out to you, no matter where your vehicle may, and preform your windshield replacement on site. As long as your vehicle will be sitting still for at least 2 hours, it doesn’t matter where your vehicle is parked. Our staff is dedicated to fast, mobile auto glass replacements to get you safely back out on the road. All of the windshields the Auto Glass Warehouse uses for auto glass replacement Siesta Key and all surrounding areas meets OEM standards for strength and quality. We strive to use only the best auto glass on the market and obtain our windshield through such companies that meet these standards. If you do not see your vehicle listed, please contact our office staff to confirm we can do your auto glass replacement Siesta Key. We also have technicians that can cut custom glass on site to fix your vehicle! Please know that custom cut glass can take a length of time to measure and cut as well as extra time for installation. Did you know if you carry comprehensive insurance in the state of Florida that your auto insurance is required to replace the damaged windshield with a zero deductible? 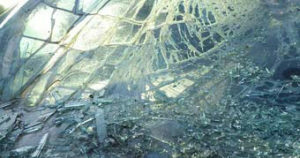 This means that as the policy holder, if your windshield is broken it can be completely replaced at no cost to you! If you have any questions as to how this works, please contact your insurance agency for further information. If however, you do not carry comprehensive insurance, which is Personal Injury Protection and Property Damage Liability, your insurance is not required to cover the cost of a windshield replacement. In this case, we will still provide you with a high quality auto glass replacement Siesta Key. The cost of the windshield will be out of pocket. Be assured that we strive to offer competitive pricing and do not charge more for a self-pay windshield replacement. Whether an insurance claim or a self-pay customer, the Auto Glass Warehouse uses the same high quality glass for all windshield replacements. No matter what your circumstance may be, if you need a auto glass replacement or repair, Siesta Key, call the Auto Glass Warehouse at 941.556.5549 today. We are standing by with highly skilled technicians and staff and will be glad to help you.